People suffering from chronic ringing in the ears — called tinnitus — may find some relief by spraying the hormone oxytocin in their nose, a small initial study by Brazilian researchers suggests. Oxytocin — dubbed the “love hormone” because it promotes social connections — might also help relieve the annoying and sometimes disturbing noises of tinnitus. “Oxytocin has actions in the brain and the ear that may help in tinnitus treatment and provide immediate relief,” said lead researcher Dr. Andreia Azevedo. She is with the department of otolaryngology at the Universidade Federal de Sao Paulo. But, at least one hearing specialist was unconvinced that oxytocin would help. And, even Azevedo said it isn’t clear how oxytocin might work to relieve tinnitus. She speculated that it may have an effect in the ear, probably related to fluid regulation in the inner ear, and a brain effect that may be related to the production of the neurotransmitter dopamine. Although oxytocin appeared safe, its long-term effects aren’t known, Azevedo said. “We did not have any side effects, but further larger studies are necessary to establish the role of oxytocin in tinnitus treatment,” she added. The research team is conducting additional studies to see if increasing doses of oxytocin can improve and lengthen the response. “We expect that these trials will raise the interest in this drug and result in larger randomized trials,” Azevedo said. The results of the study were scheduled to be presented Thursday at the meeting of the American Academy of Otolaryngology–Head and Neck Surgery in San Diego. Findings presented at meetings are generally viewed as preliminary until they’ve been published in a peer-reviewed journal. As many as one in 10 Americans suffers from tinnitus. The disorder is characterized by hearing sounds when there are none. The sounds can be perceived as ringing, buzzing, crickets or hissing. For those who struggle with it daily, the noise is so bothersome that it interferes with thinking, emotions, hearing, sleep and concentration, according to a previously published study. That study was released online July 21 in JAMA Otolaryngology–Head & Neck Surgery. For the new study, the researchers randomly assigned 17 people with tinnitus, average age 63, to puffs of oxytocin or a placebo (distilled water) in each nostril. The study volunteers were asked to assess their symptoms 30 minutes after treatment, and then again, 24 hours later. Azevedo’s team found that patients who received oxytocin reported a significant reduction in tinnitus, compared with those who received the placebo. Kohan remains skeptical, however, about using oxytocin to treat tinnitus, because so many treatments have been tried and have failed. “Whenever there is a medical condition and there are a thousand different treatments, it means that none of them work, because if there was one that worked we would all be doing it,” he said. Results of this small trial are not sufficient to draw any conclusions about oxytocin as a treatment, Kohan added. In addition, he said, the hormone can have serious side effects, including abnormal heartbeat, abnormally low blood pressure, high blood pressure, allergic reactions, breathing difficulty, nausea and vomiting. 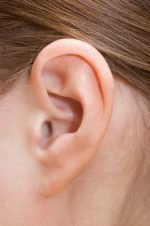 People suffering from tinnitus shouldn’t start using oxytocin in hopes of curing themselves, Kohan said. “This is not something you take lightly. You don’t know if it has benefits in the long term, and you can potentially have bad side effects. I would not recommend it,” he said. For more on tinnitus, visit the American Academy of Otolaryngology–Head and Neck Surgery. SOURCES: Andreia Azevedo, M.D., department of otolaryngology, Universidade Federal de Sao Paulo, Brazil; Darius Kohan, M.D., chief, otology/neurotology, Lenox Hill Hospital, and Manhattan Eye, Ear, and Throat Hospital, New York City; Sept. 22, 2016, presentation, meeting, American Academy of Otolaryngology–Head and Neck Surgery, San Diego, Calif. This piece originally ran in the online section of HealthDay. To read the original source please go here.